The symptoms of physical and emotional stress, can be difficult to get used to. Aches and pains can arise, as can dizziness, nausea, moodiness, constant worrying, memory problems, and a host of other symptoms. 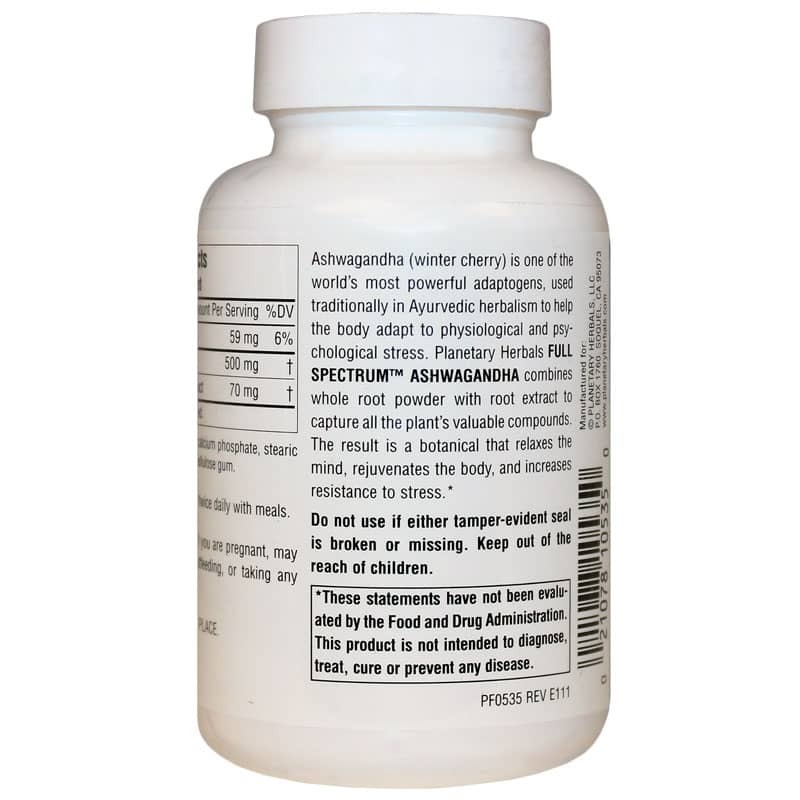 Ashwagandha from Planetary Herbals is a full spectrum supplement that helps your body adapt to signs and symptoms of stress. Known as an adaptogen, Ashwagandha has been a staple in Ayurvedic medicine for many years because of its potency and ability to help your body get a better handle on stress. Ashwagandha can be taken daily as a general tonic to improve mental relaxation, rejuvenate your body, and may even help increase your overall resistance to stress. Take 1 tablet twice a day with food. Make the right decision and enhance your mental and physical resistance to stress. 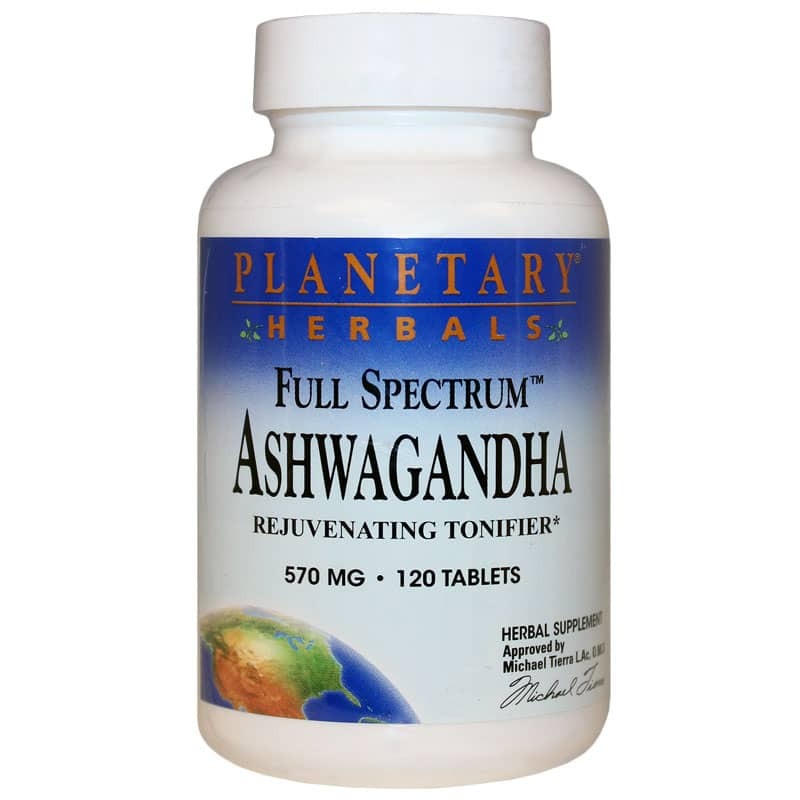 Try Ashwagandha by Planetary Herbals today! 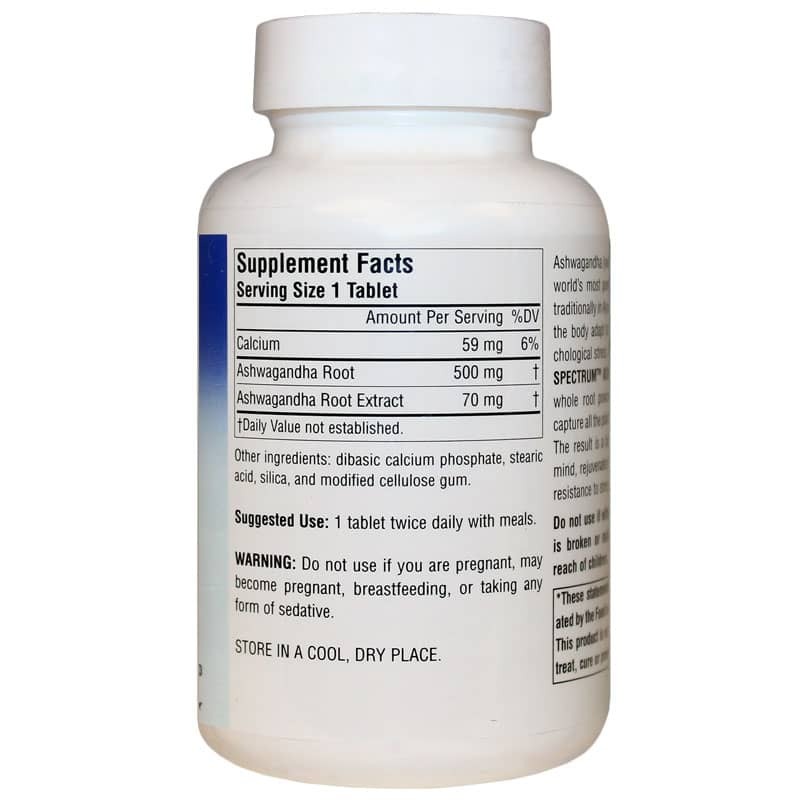 Do not use if you are pregnant, may become pregnant, breastfeeding, or taking any form of sedative. Keep out of the reach of children. This is a great price and a good product. I have a very touchy stomach and found it a little strong for me. Every other day use seems to suit me better. no noticeable difference in my energy level.